Success Spells | Blog: Rituals & Spells: Love, Protection and Health! Blog: Rituals & Spells: Love, Protection and Health! To make your desire to grow and finally to "blossom". Using various plants in magic is known for a long time and it is also widely- used. Spring season is a special season, where new life begins and growth is happening rapidly. Therefore, it is ideal for magical support of wishes from all areas of life. Casting a spell by using flower bulbs can be used for those wishes, which we want to “plant” for some period, watch it to grow and finally watch them to come true. Best is to plant desires that will come to fruition in summer. This magic is effective, simple and for those who love flowers it is also fun. You will need some summer- flowering bulbs. Bulb is the symbol of life in potential, therefore it makes sense to have one bulb for one wish. Try to have several wishes, not too many, because your intention and energy wouldn’t be focused enough. Spell will help you to draw the attention of people and bring new customers. This spell helps you to improve your business, because your business will be more attractive for potential customers looking for the thing you are offering. It will open the door. Then, your part of work begins! The result is then up to you, how good your services and goods are and how can they satisfy needs of customers! The spell works with analogy. 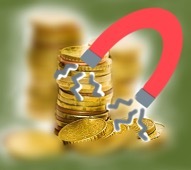 It uses as a symbol of attraction magnet. This spell works with the rune called Teiwaz (15th 15th rune warrior energy, the god Tiu, Tyr). Tyr represents success and victory. 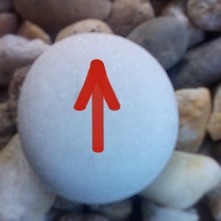 It is the rune of the Norse god Tiw, a mighty warrior and noble ally in times of need. The power of this rune will make you strong and confident, so that you are able to find a good paying job.The shape of the rune tells us how important it is to have a clear goal in mind when searching for a job. This rune and also spell should not be used for greedy purposes. In such case, the real success is likely to be obtained.This spell supports you to solve your problems in a magical way. Be aware, that magic cannot solve everything! You have to be prepared for this chance! So, you have to work first on your knowledge, skills and abilities, because without them, you success cannot be permanent. To balance one's life, to achieve harmony in chosen aspect of life. for us, a harmony is the state of balance between a human being and his/her own life. Maybe you feel, that something in your life is not all right, that something prevents you from being happy and in harmony with yourself. Something has to be changed. But what? The vibration of your mind. 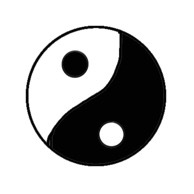 In order to restore harmony, we will use for this ritual ancient symbol yin and yang. This symbol will represent the harmony, you would like to achieve. Advancement or growing your career at work. It is always good to speak with more experienced people. One can learn a lot, especially in the area of business or professional career. This ritual is designed to provide you with useful information of the Tarot and to attract a mentor or any counsellor in the area of your professional life. The High Priest brings counsel and protection. His word is powerful and it can change the course of the things and situations. To gain such a mentor means to increase your knowledge and also opening doors for your professional growth.